When it comes to guilty pleasure movies this one pretty much tops my list. 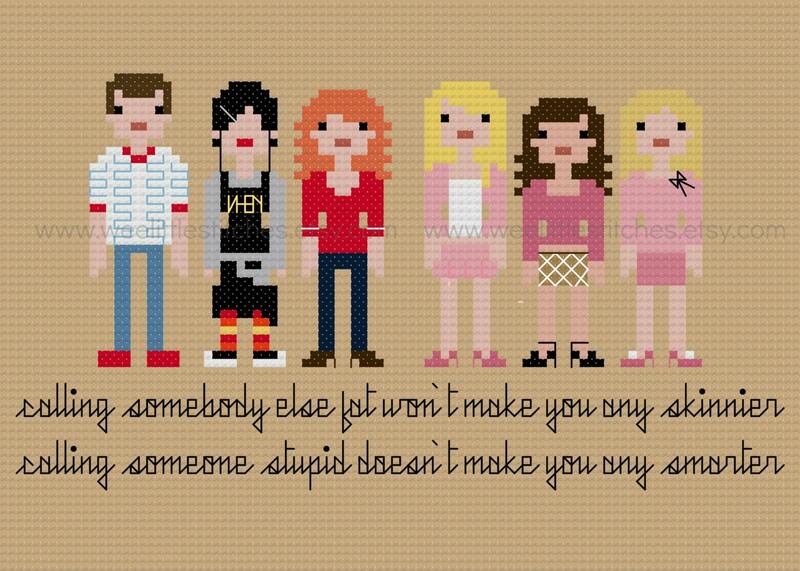 Our own high school experiences might not have been quite so awful, but we can all relate to Cady's struggles to fit in. 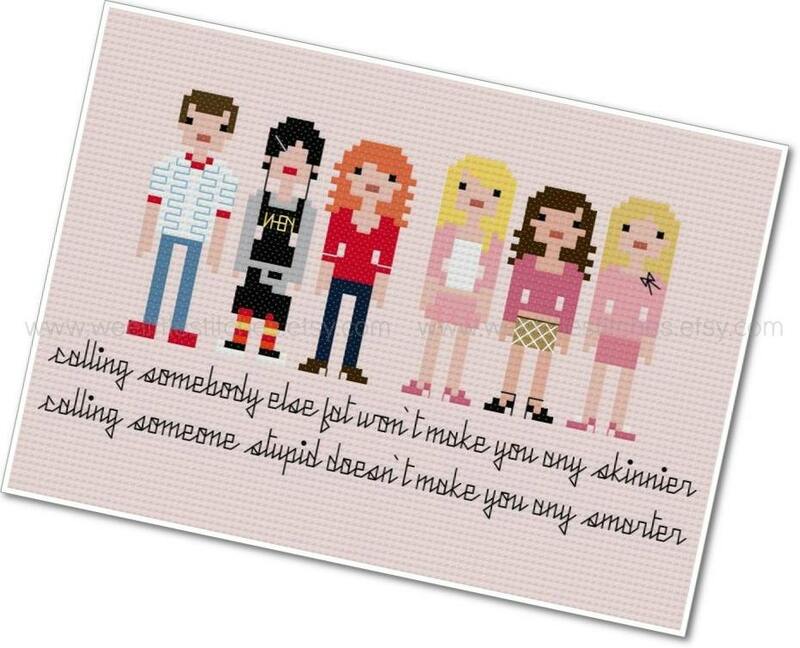 This pattern includes Damien, Janis Ian, Cady Heron, and the Plastics - Regina George, Gretchen Weiner, and Karen Smith. 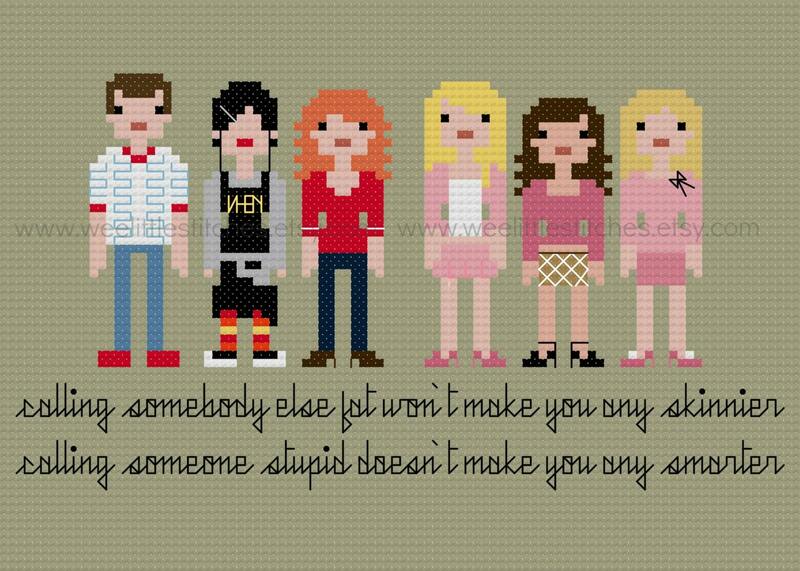 Endless quotable, it was really difficult to choose just one quote to feature in this pattern, so your purchase also includes a free PDF chart of our Wee Cursive font, enabling you to personalize your chart with your favourite quote from the film.